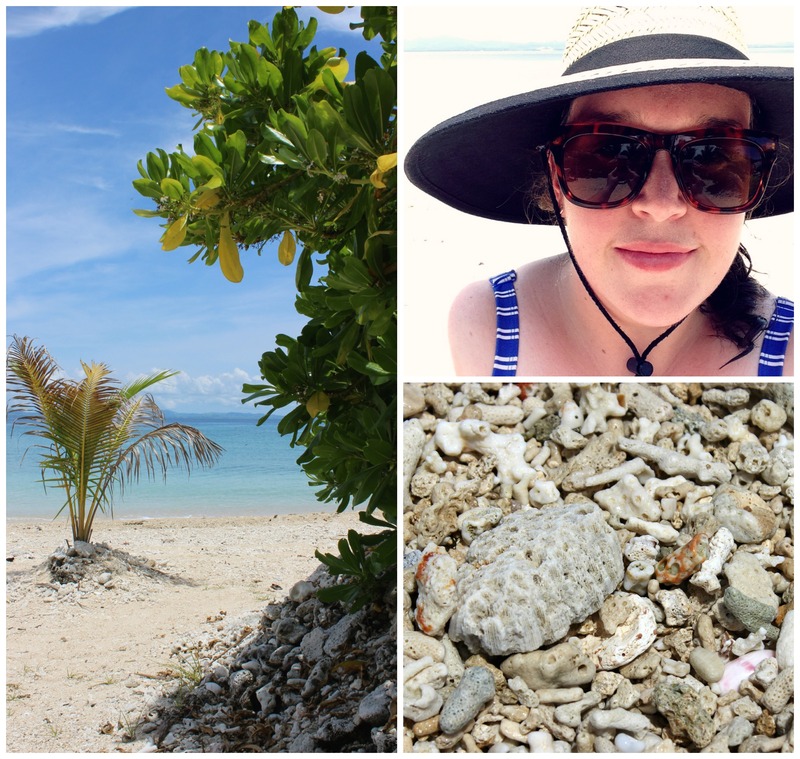 If you’ve been scrolling through my Instagram feed, following my weekly uploads on YouTube or reading this here blog lately, then you might know that I’ve recently come back from a very long-awaited holiday/cruise to Fiji! So I’m not going to bore the living-daylights out of you and document every single thing and every single port that we visited. Instead, I’m just showing you the highlights, the places that I loved the most and the cherished moments I spent with my parents sailing the South Pacific. 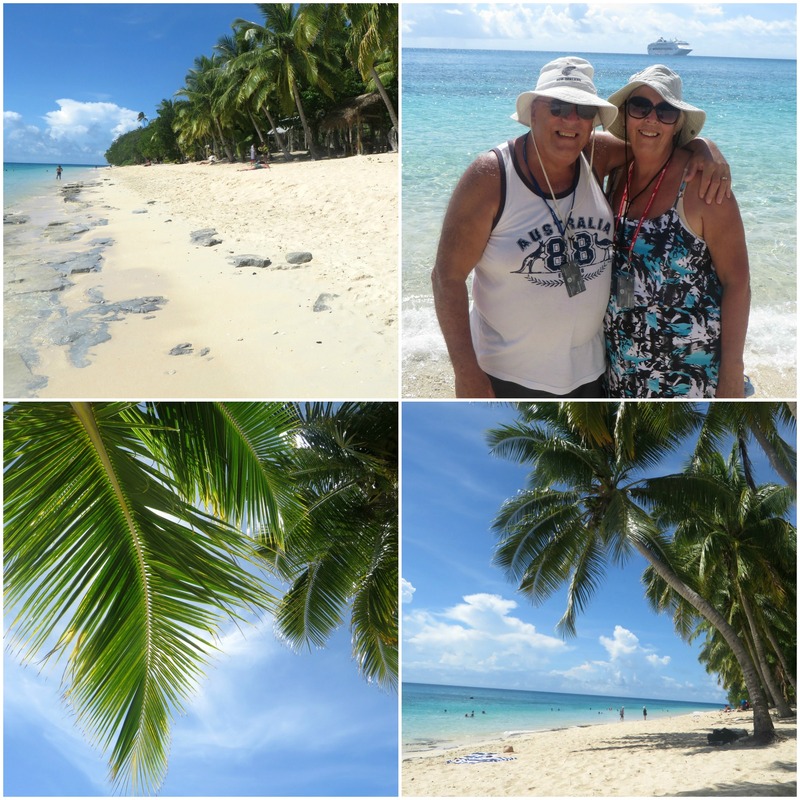 Lifou, a little island town within the Loyalty Islands was our first port of call. Both me and my parents have been here twice before but have never visited the little beach that is right near the island’s pier. For a few hours we drunk up the South Pacific sunshine, dug our toes into the cool white sand and observed the cultural uniqueness of it’s people. I didn’t swim at this beach but instead took the opportunity to film a few clips for my vlog. 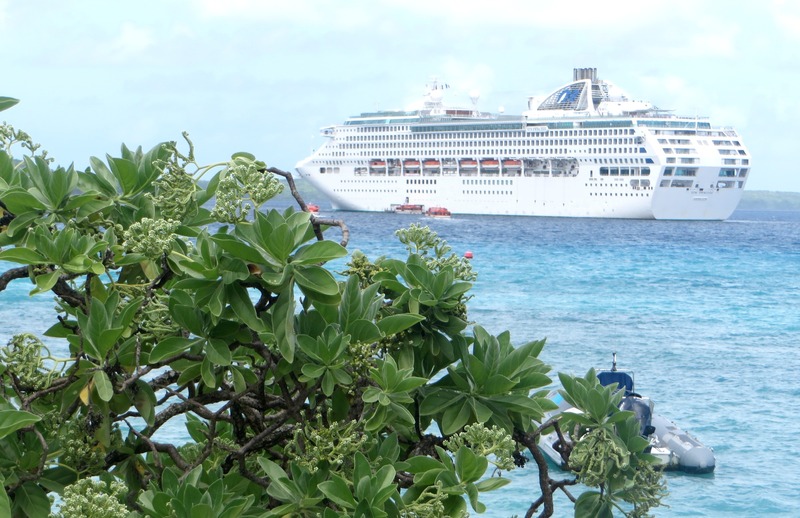 Our first stop in Fiji was Port Denarau where our ship, the Sun Princess was anchored just out side of the bay. 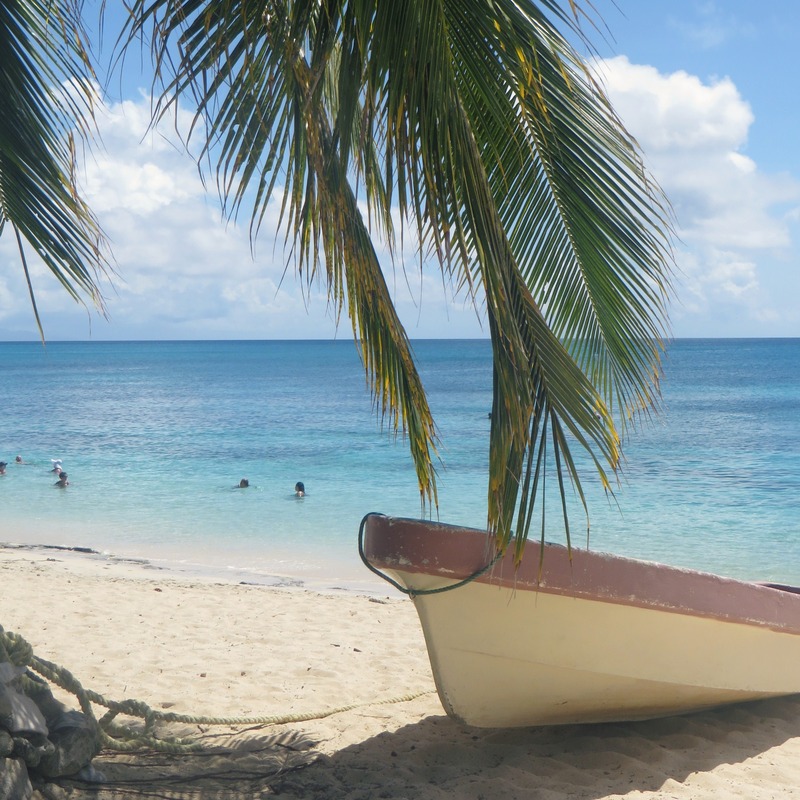 From the ship we were loaded onto a super-sleek catamaran and whisked off on a pre-organised tour to a private island called South Sea Island. As we approached the island we were welcomed with traditional song and numerous shouts of ‘Bula!’, which is Fijian for ‘Hello’! The time came for us to say our farewells and thankyous for their generous hospitality and entertainment. We all hopped back onto the catamaran where we were safely jetted back to our ship. Thankfully in the afternoon, we had a pre-organised tour to join where there was a very welcoming air-conditioned bus that took us on a short ‘sight-seeing’ tour of the town before taking us to visit a traditional Fijian village called Nukubalavu. As we pulled up outside we were greeted with a traditional welcoming song sung by the village elders, leaders and children. Our village guide showed us a few of their homes, chatted to us about their Catholic beliefs and then allowed us to tour their little Kindergarten that has been set up in their village for the children to learn how to read and write. We then had the privilege to watch some of the villages do traditional dancing and singing, perform a sacred ‘Kava Ceremony’, weave baskets out of palm tree leaves and witness a man climb a very tall coconut tree! Dravuni Island was definitely the biggest highlight for me! 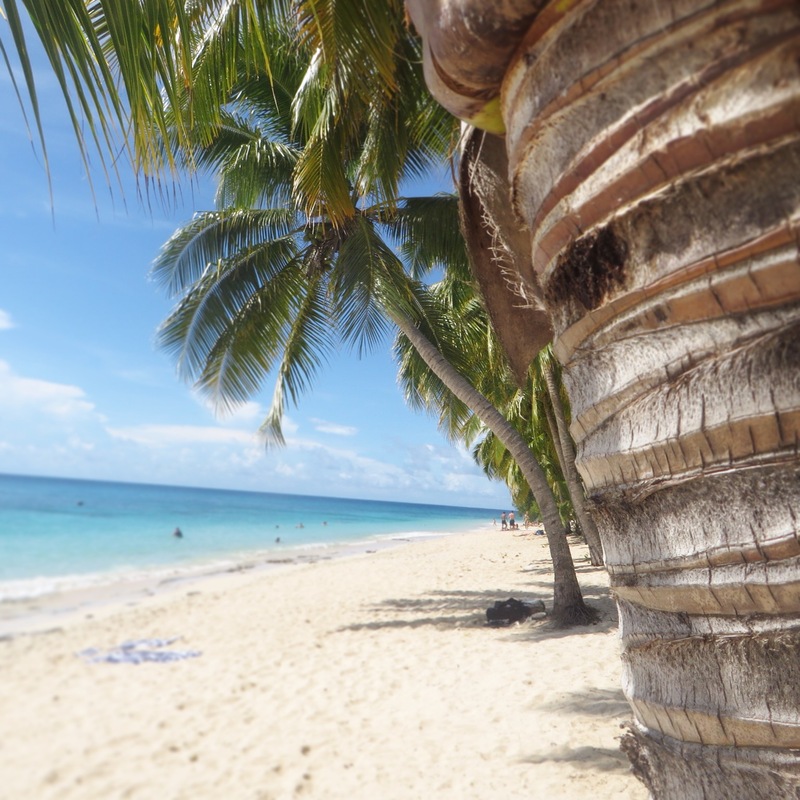 It was the place that came the closest to what I had imagined a Fijian beach island to be like… Tall gentle swaying palm trees, cool crystal blue water, soft smooth sand and a laid back quiet atmosphere. Ahh, bliss! We came ashore on a delightfully sunny Sunday afternoon (which possibly explains why the place seemed so quite and tranquil!) and had a look around the little Kindergarten and school that had been built for the local children before making our way back onto the beach opposite to where our ship was anchored. 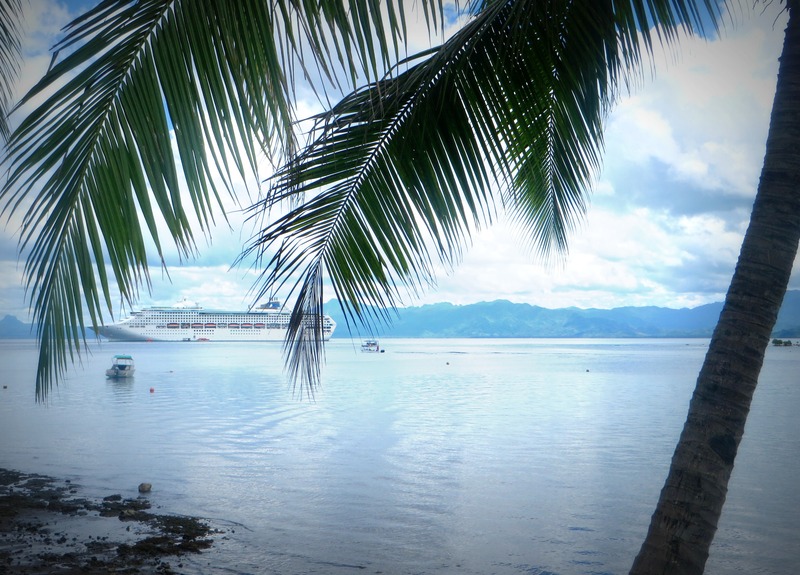 There we spent about an hour taking photos, relaxing under the palm trees and soaking up the experience of our last Fijian port. 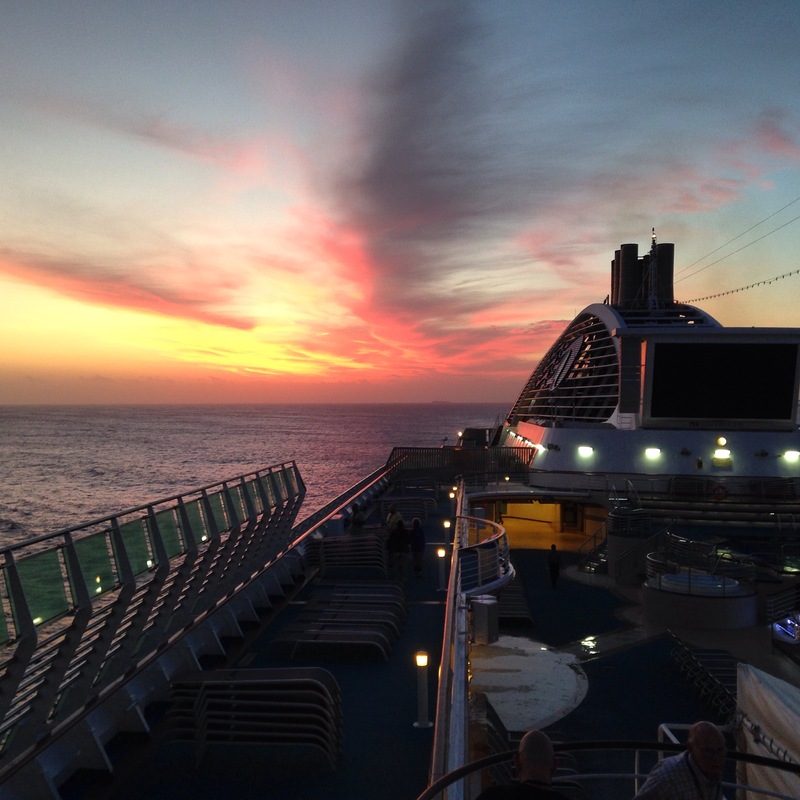 Here are just a few happy snaps I took while we were onboard. 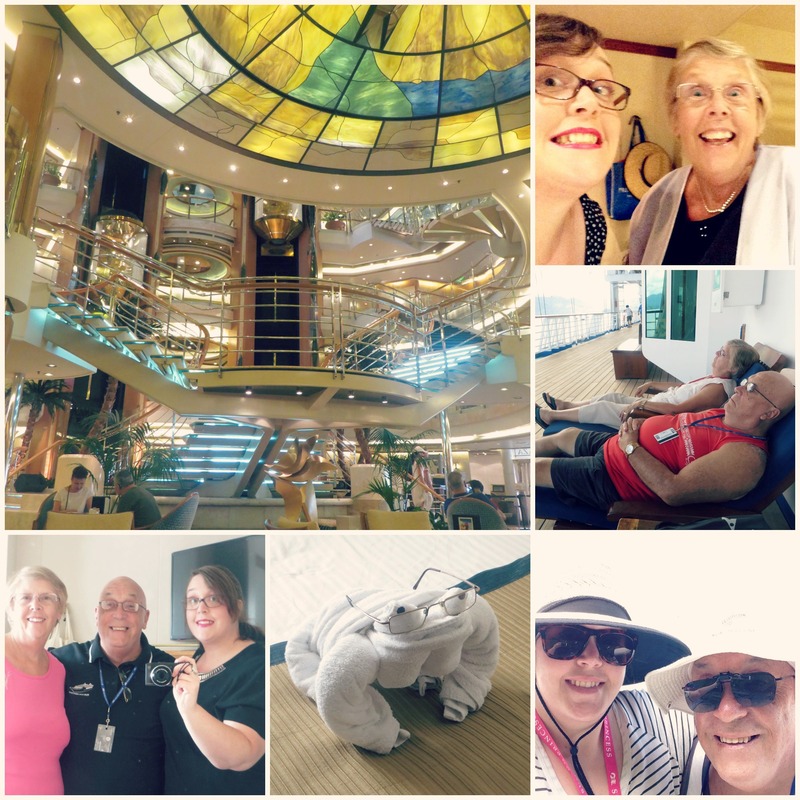 We don’t really go crazy when we cruise… We don’t drink or visit the casino nor do we stay up and attend all of the parties (bore, I know!). We’re the simpleton type who like to read (or embroider in my my case) all day, do the occasional deck swim and sunbake, eat and drink tea as many times as possible during the day, watch all the shows and entertainment in the evenings and generally enjoy our holiday away from reality! 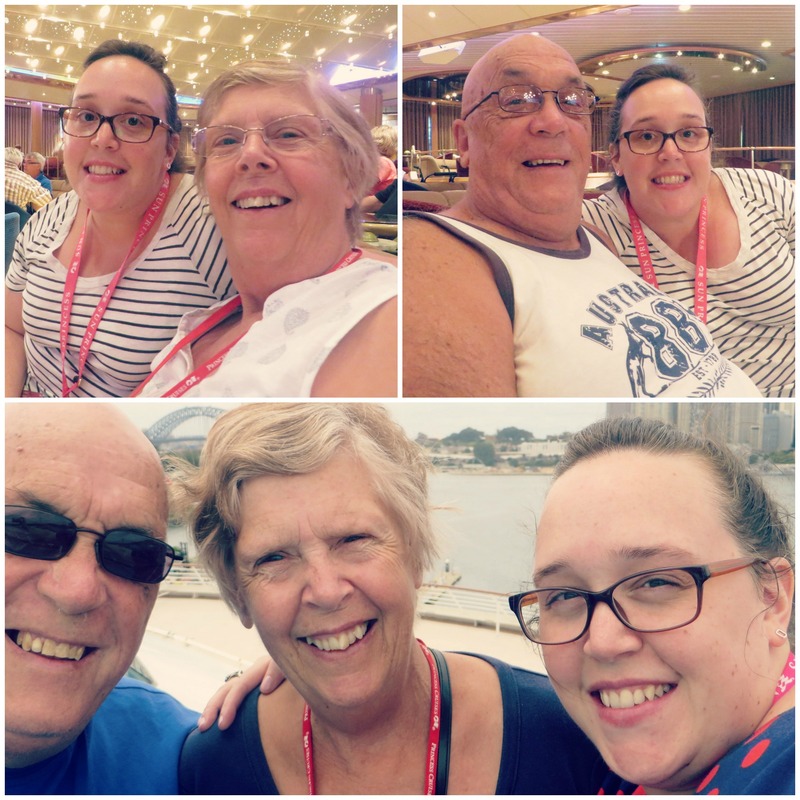 Photos from left to right, top to bottom – 1&2: Posing for photos with Mum and then Dad, 3: Selfie on deck before sail away from Sydney, 4: Sun Princess Atrium, 5: Mum and I having a silly-smile selfie before dinner one night, 6: Mum and Dad ‘relaxing’ on deck while anchored in SavuSavu, 7: Mirror Selfie in our stateroom, 8: Towel Toad sporting Dad’s reading glasses, made by our cabin steward, 9: Father and Daughter selfie in Lifou. Unfortunately, like all things, our holiday had to come to an end. I had mixed feelings about wanting to come home… I just felt like I wasn’t quite ready to let go of that brief period of time where you don’t have to worry or stress about the realities or responsibilities of life. 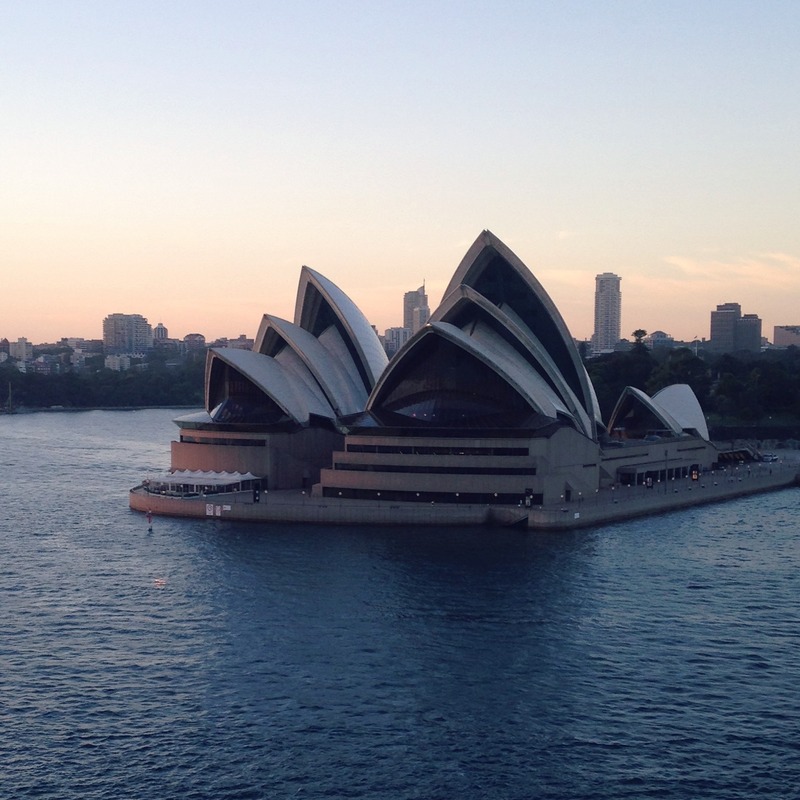 Yet on the other hand, as we begun the slow heading into Sydney Heads I couldn’t wait to savour the moment of gently sailing past one of the most beautiful harbour cities in the world. 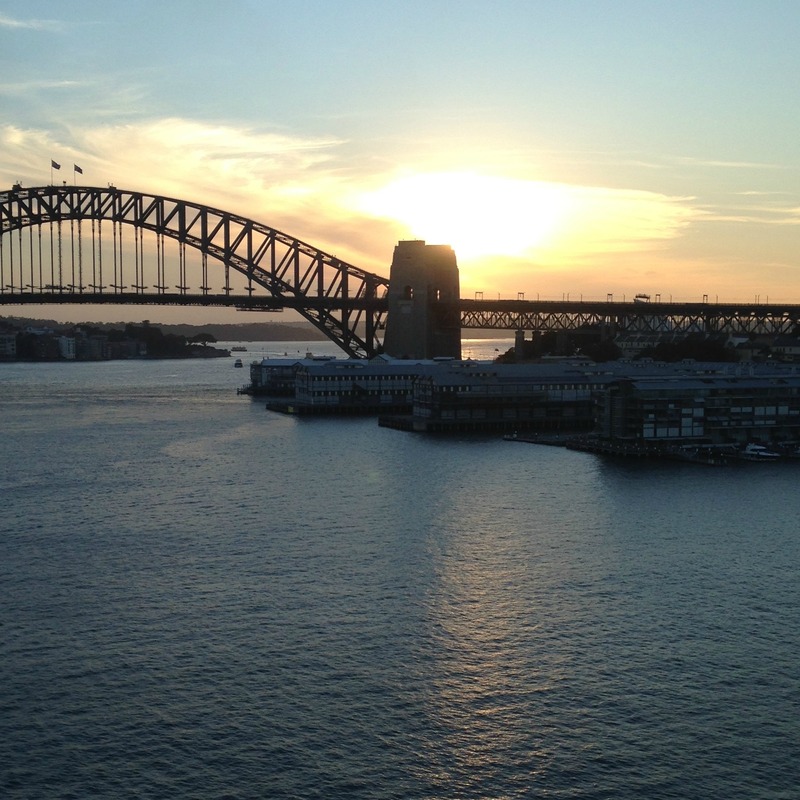 Sydney, my home, quiet, still and delicate, only just beginning to wake to another busy day. Honestly, the whole thing makes me feel all a bit emotional… My city, quietly welcoming me home in the gentle cool hours of the morning, the breeze whispering, ‘welcome back’ and the familiar sounds of cars, trains, ferries and planes soothing my suburban soul. It’s a moment in time that I will never tire of. As I mentioned throughout, I filmed quite a lot of the things I experienced and only just recently uploaded the finished vlog to my YouTube channel. So here it is if you wish to see more of my adventure! 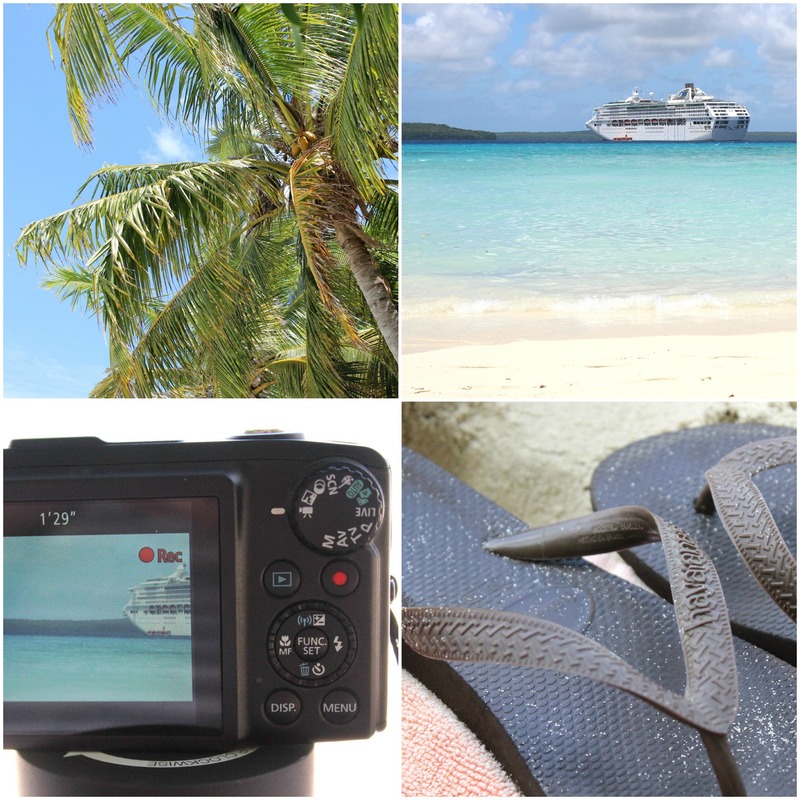 So that’s just the brief lowdown of my holiday/cruise to Fiji! I enjoyed every moment and will cherish this time I was able to spend with my parents for the rest of my life! Previous PostFebruary Favourites! Next PostTUTORIAL: Jake The Dog Pillow! Great post and great video! 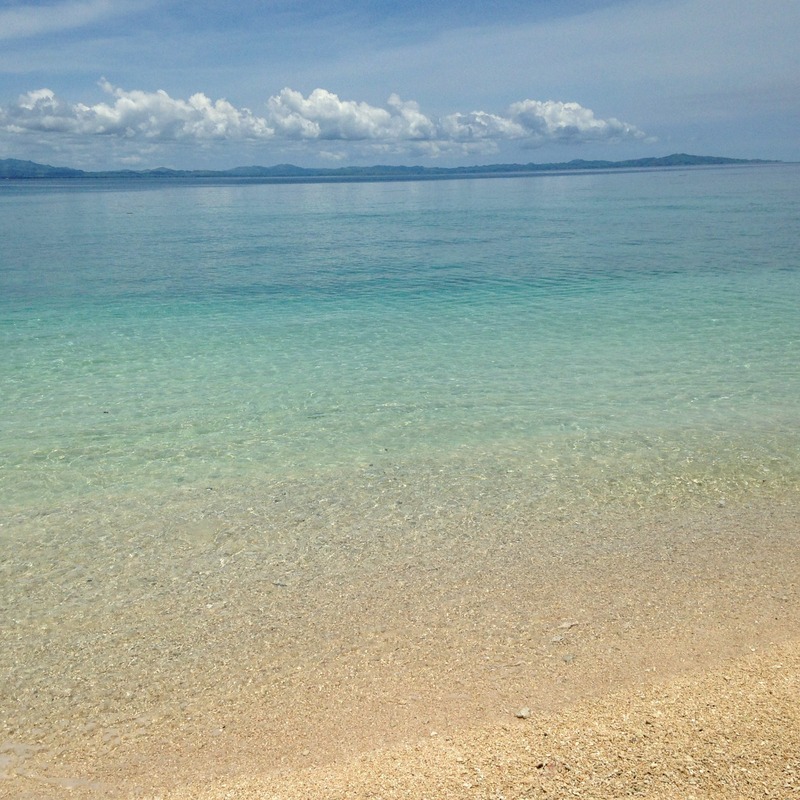 I really want to visit Fiji!